We passed our one-year anniversary in Sequim last Saturday. We arrived on June 14, 2013. As I read through the New York Times this morning, I noticed a new film with Liam Neeson. It opens in New York and Los Angeles this weekend. In my Bay Area days, I lamented when movies like this only opened in those two cities, but knew that it would open in a theater somewhere near me soon. Not so much up here. Movies have always been a way for me to decompress, refresh, put whatever is mangling my foremind into my backmind so I can let my unconscious or the universe, whichever is the most appropriate, untangle the mess. I would sometimes see two or three movies a week. Maybe four. So, the one thing that I sort of kinda’ miss about living here in a rural environment is movies. There’s a great theater in Port Townsend that shows “art” as well as first-run films. That’s a 45-minute trip, but well worth it. The theater itself is cool. I saw Chef there recently—on a particularly bad mind-mangled day when I needed chocolate. The movie was showing in the Twilight Room where they serve food and beverages of all persuasion. So I ordered a chocolate martini. Great story. Great chocolate martini. Movie fix and chocolate fix all in one fell swoop. The grandeur of the mountains, the deer roaming through my yard, and the ducks with their ducklings and geese with their goslings, all make me miss movies a little less. My mind seems to get mangled less. In addition, there is the local theatre company, Olympic Theatre Arts. The Olympic Theatre Arts Center was one of the draws for us moving here. 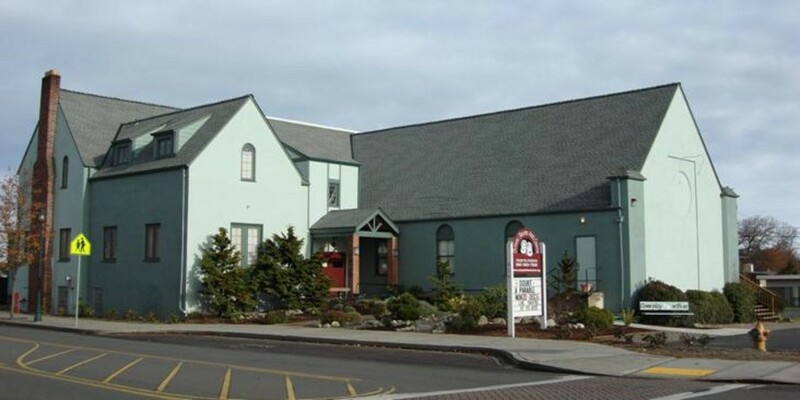 Built-out in an old church, it is an impressive facility for a town the size of Sequim (6,000 in town—probably 26,000 with the surrounding area). Light booth. Sound booth. Shop for building sets. Dressing room and green room. A hall, called the Gathering Hall where certain performances can be held. The main theater seats 165. And then there is the talent. Good actors. Good directors. And, as I am learning, incredible talent for set design, light design, and costume design—all dedicated to telling the story. I’m currently the production manager for Sherlock Holmes: the Final Adventure. The costume designer in one of the early meetings, said she planned on few costume changes because she didn’t want the costumes to be the story. She wanted the costumes to help tell the story. Tom and I have jumped in and are knee deep in the company. Our proposal for staging a reading of Twelfth Night, on Twelfth Night, was received with enthusiasm. We held it in the Gathering Hall, which was transformed into a Shakespeare-era gathering hall thanks to the imagination of Rosie von Engel. She is also the set designer and dresser for Sherlock. As with the costume designer, she does her research and insists on details that ring true to the era. These people care about the production and the audience—they know what it takes to make the audience suspend its disbelief. Tom is in Sherlock. He plays Watson. He also is writing music for an aria that is part of the story and incidental music for certain scenes and scene transitions, and is creating sound effects using the inside of the piano. Oh, my! 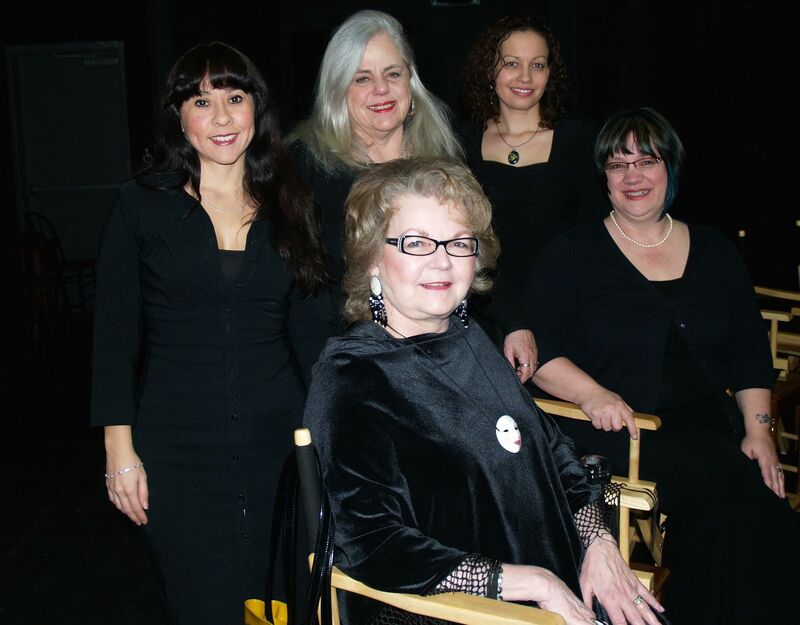 I had the privilege of directing and acting in Love, Loss, and What I Wore (by Nora and Delia Ephron, based on the book by Ilene Beckerman) in March and will be directing The Good Doctor, set to open in September. The Good Doctor is one of Neil Simon’s lesser-known plays. The company had considered Barefoot in the Park, but had trouble finding someone to direct it. I considered it, but thought the play and its humor seemed dated in 2014. So I dug around and found The Good Doctor. I liked it because I think Simon went out of his comfort zone to write this play—a series of 11 sketches—nine based on Chekov short stories and two Simon originals. Simon drew on his experience writing for Your Show of Shows to create comic sketches that could have been on 19th century Russian television—had Chekov had Sid Caeser—and televeision—to write for. We also were able to get a series started called “An Unusual Evening in Sequim.” We stole the title from our early mentors, Cask and Mask. Well, they just called it an Unusual Evening—we added the Sequim part. Our first one was a celebration of Shakespeare’s birthday. Local actors selected their favorite passages from Shakespeare to read to the audience and tell them why Shakespeare was so important to them. We did a rap version of “You Say It’s Your Birthday” spoken like Shakespeare, “Thou sayest’s thy birthday . . .” and served cake. The audience has grown for each evening. At the May event, Local writers read stories about Sequim and the peninsula to help celebrate the Irrigation Festival. We started the evening with an interview with Joe Borden, who has worked on the festival for 19 years. Why do we have an irrigation festival? Because there would be no Sequim if “Crazy” Callen and his partners hadn’t figured out how to make water run uphill, Borden told us. It was a parched prairie before the irrigation ditches. Our June event was something I had wanted to do for years. Tom has written music inspired by my writing and I have written pieces inspired by his music. My favorite “collaboration” was around Tom’s Music Box Rag. I wrote a poem titled “Tending the Garden of Shared Memories,” that reflects on a music box that might or might not have ever been, given to a little girl by her father. 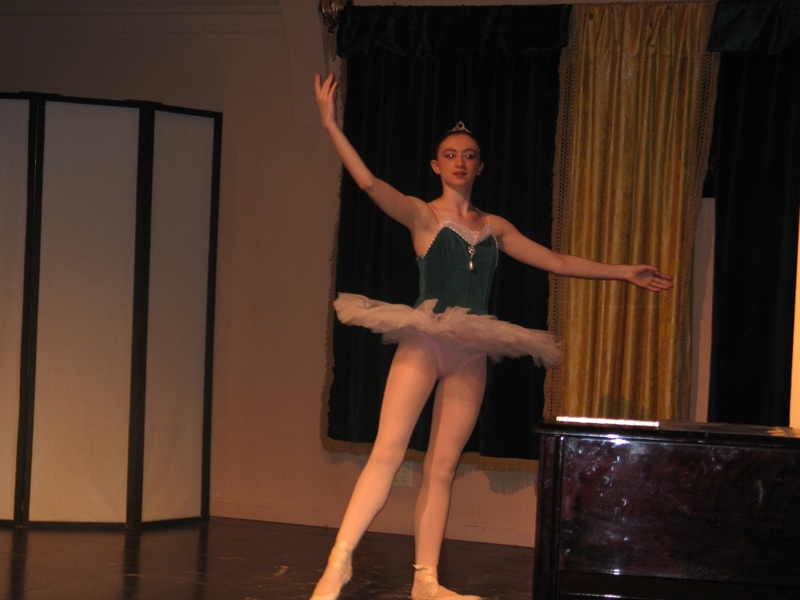 I always wanted to perform the piece with Tom and a ballerina to be the music box ballerina. So that’s what we did, with a very talented 15-year old ballerina, Cami Ortloff, dancing to my words and then Tom’s music. The dance was choreographed by Laurel Herrara, just one more example of talent that makes up our community. Next up is a radio play! It was a bit scary to make this move. Tom and I had been active in theatre in Livermore, when we were teenagers and then again when we returned in 2001. I had built a literary community and Tom had composed pieces for the orchestra and a chamber symphony. 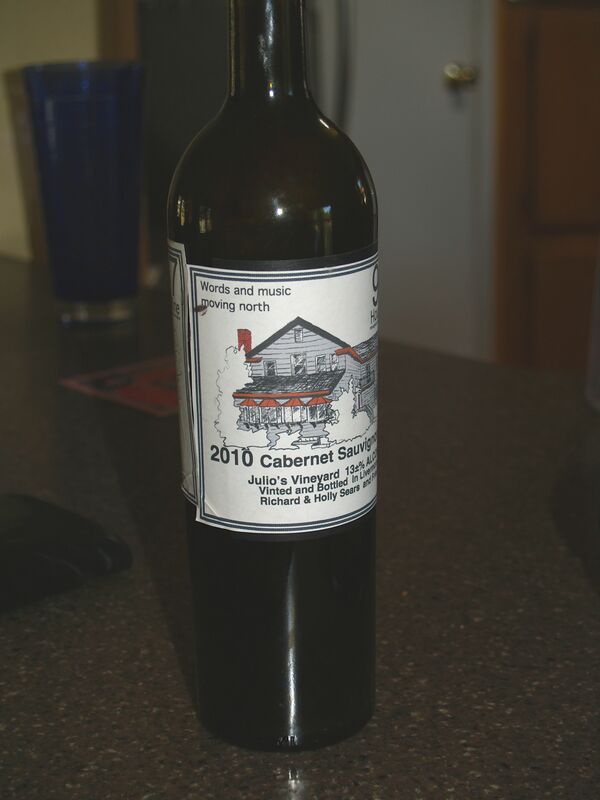 It was very moving to receive the bottle of wine with “Music and Words moving north,” printed on it to mark the occasion of our leaving the community. There’s something about marking the passage of a year—going through seasons, getting the rhythm of whatever it was that made the year one worthy of having its passage marked. It’s a blue sparkly day in Sequm. The earth made its journey around the sun. We made our journey north. And here we are. Words and music alive and flourishing. Thank you Richard and Holly Sears for the wine and the words. This entry was posted in Writing and tagged journeying north, making changes, music and words, wine, year anniversary. Bookmark the permalink. Sounds like you have had a great first year. Can’t imagine what the second year will bring. I’m glad you have found lots to keep you busy! Thanks, Barbara. I guess for me, it’s not so much a matter of keeping busy as finding a way to express my passion—or as Joseph Campbell put it, “follow your bliss.” One of the things I admired so much about you and Hoofprints is that it was clear that you were following your bliss. Your commitment to horses as healers and community came from deep in your heart and soul. That’s why Hoofprints thrived under your leadership. Hopefully it will rise anew.